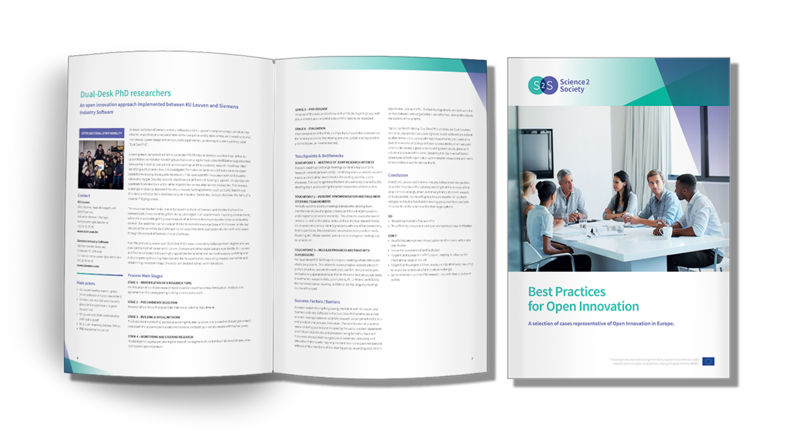 Do you want to learn about the latest trends in open innovation from the experts? Subscribe to S2S newsletter for free now and stay updated! On 12th February 2019, the Science2Society project partners met in Cambridge (UK) for the last face-to-face meeting before project end. On Wednesday, February 13, open innovation experts and practitioners from across the globe gathered in Cambridge for Science2Society’s final event: the Future of Open Innovation Practices Day. Large companies and SMEs in Austria are invited to discuss and exchange ideas on the topic “Digital Transformation: Mission Possible” on 26th February in the Siemens City in Vienna. S2S final event in UK on February 2019! Save the date! The Science2Society team is proud to announce that we are working on the final agenda adjustments for the S2S final event! The consortium of the Science2Society-project met for its biannual meeting in Karlsruhe (Germany) from the 24th to 26th September 2018, hosted by the partner KIT-IPEK. The Science2Society team is now presenting the results of this study in a very useful format: the Science2Society blueprints! S2S representatives attended the University-Industry Interaction Conference in London on 20-22 June 2018. During the ISMA 2018 conference, an interactive S2S workshop will be organized for researchers who are mobile between different sectors (industry, research organization and/or university). A selection fo cases representative of Open Innovation in Europe.